So after seeing both small cars and trucks, it is time to look at concepts. This part of the fun is unfortunately brief, as you see, Montreal cannot pride itself in being the centre stage for a wide variety of world premieres such as the Paris or Geneva motor shows. However, there were a few surprises. Kia was very keen on proving that they are a brand for young dynamic people. They had a few race cars around the stand and were presenting cars clearly aimed at a younger market. But the real novelty was the fun-looking Kia Track’ster concept from last year’s Chicago auto show. Based loosely on the Kia Soul, it showcases what that car could be if it were track ready. The idea of having a racing concept based on an everyday car reminds me of the VW Golf GTI W12 concept of a few years ago. Needless to say I totally approve, but could a real performance orientated version of the Soul come out from this? After all, Nissan did a Juke-R, just saying….. Younger buyers were definitely the main focus of these concepts. On the Chevrolet stand, the 140S (in yellow), and the 130R (in grey) were being shown off. They were first seen as a styling exercise at last year’s Detroit auto show, but given the Toyota/Subaru/Scion GT86/BRZ/FRS’s success with younger drivers, Chevrolet seems keen to bring out a production version of those concepts. For cost reasons, only one will be chosen and you could chose your favourite via a voting system. Which one do you prefer? Personally I prefer the 130R for its more old-school looks, but then again, it does looks like a copy of the BMW 135i coupe. Whichever one is chosen though, please Chevrolet, make it rear wheel-drive! Finally, Honda had a big surprise in store. 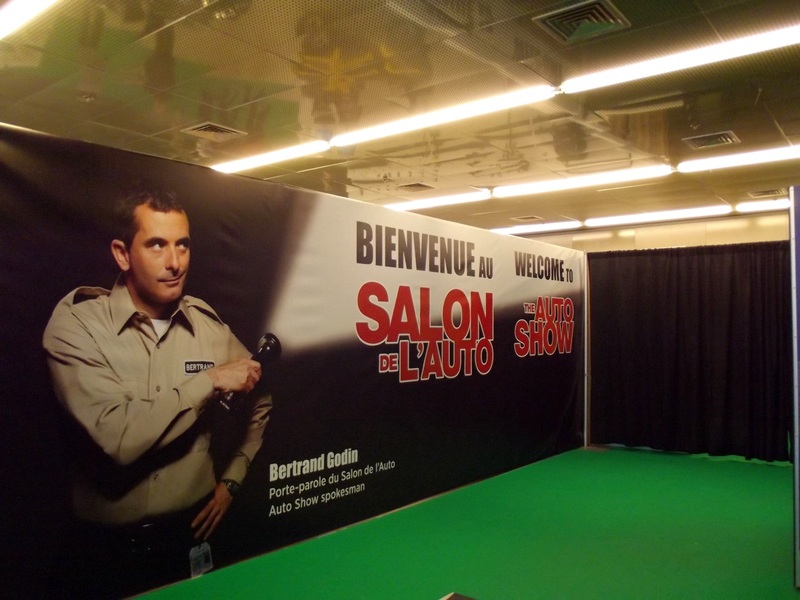 In fact it was a world premiere that no one was really expecting, a first for the Montreal Auto Show! Named the Honda Gear Concept, it is supposed to make the automobile attractive to Generation-Y buyers (of which I am part). Now, the idea behind this is that Gen-Y buyers are no longer interested in cars, so this one promises to be endlessly customisable and connected online. In fact, it is supposedly imagined to emulate those BMX bikes we apparently love (seriously, does anyone really ride those anymore?) This really irritates me, as the support for this blog and a recent article I wrote for l’Automobile-Sportive.com prove, there are still a few of us who are into cars, but more on that later. Though I may not like the idea behind the concept, I have to admit that it looks pretty interesting in real life. That front end is much better than Honda’s current line-up, and is a nice wink to the first generation Civic. From the side it looks very back-heavy, but the rear is nice, albeit those Pagani-style exhausts are just overkill. As a future Civic though, I think we could live with it. So there we go, only four cars today, but tomorrow the main part will be published: Exotics. You will not want to miss that! This entry was posted in News and tagged 130r, 140s, auto, chevrolet, concept, gear, honda, kia, montreal, show, track'ster. Bookmark the permalink.